Calculating how many grams of a substance that you have is important for successfully completing experiments in the laboratory and for solving chemistry problems. The number of grams refers to the mass of the compound. When you are presented with a problem, you are either given the number of moles of the compound or you are given the density and volume of the compound. You can solve the problem by understanding how to put the given information together and then use the factor label method. Write down the values that are given in the problem. For example, if you are told that you have 5.00 moles of carbon, then write down 5.00 moles. If you are told that the density of water is 1.00 g/mL, and that you have 4.00 mL of water, then write this down. Find the molar mass of the compound. The molar mass of a compound is how many grams of the compound are in one mole of the compound. This information is in the periodic table. For example, the molar mass of carbon is 12.00 g/mol. You do not need to find the molar mass of the water because you already have the density and the volume, and multiplied together, that gives you the mass. Set up the ratios for the factor label method. For the carbon problem, write 5.00 moles in the numerator and 1 in the denominator. On the next ratio, write 1 mole in the denominator and 12.01 grams in the numerator. For the water problem, write 4.00 mL in the numerator and 1 in the denominator. On the next ratio, write 1 mL in the denominator and 1.00 grams in the numerator. Multiply the ratios. For the carbon problem, you should receive an answer of 60.1 grams. For the water problem, you should receive an answer of 4.00 grams. 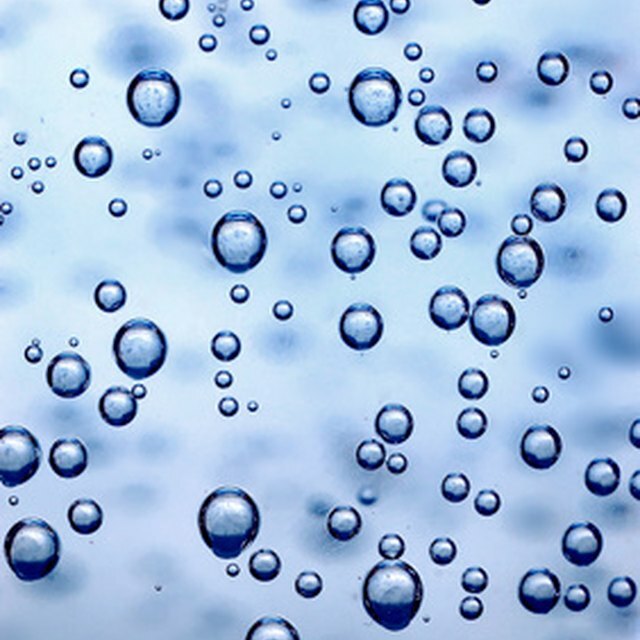 Elmhurst College Virtual Chembook: Which Is More Dense-Ice or Liquid Water? Pesacreta, Mara. "How to Find the Number of Grams." Sciencing, https://sciencing.com/number-grams-8055189.html. 24 April 2017.